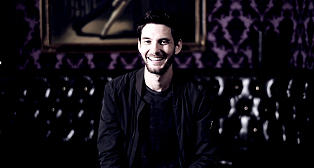 Ben Barnes appeared on last night’s episode of Last Call with Carson Daly to discuss Season 2 of ‘The Punisher’, ‘Westworld’ and more. You can watch the full interview here, or in our video archive. Screen captures have also been added to the gallery. Ben is featured in Issue 62 of ‘The Rake’ magazine. Full scans have been added to our gallery. The digital version is available on Zinio, or you can buy the print edition here.